For so many years now, perhaps my entire adult life, I have felt like Thanksgiving is paid only lip-service by the masses. As if it is merely a "gateway holiday", if you will, to the real Holiday season that includes Hanukkah, Christmas and the New Year. Christmas decor is displayed for sale in stores BEFORE Halloween now (I even saw some at the end of August while getting my kids ready for back-to-school). This year, I started seeing holiday-themed commercials the DAY AFTER Halloween. As Thanksgiving approaches, everything seems to really be more about Black Friday. And, oh yeah, get all your Thanksgiving dinner needs here too. I understand that we want to plan out our holiday season so as not to leave it all for the last minute. And believe you me I love a great deal as much as the next gal. Hanukkah begins on December 8 this year. So yeah, those who celebrate the Festival of Lights are getting down to the wire. I celebrate Christmas so I can only speak to that holiday. There is more than a MONTH between Thanksgiving and Christmas. Is that really not enough time to eat, sleep and breath it? Every year I feel like I need to defend Thanksgiving. That people need to be reminded that it's about so much more than stuffing our faces and watching the Dallas Cowboys play football. 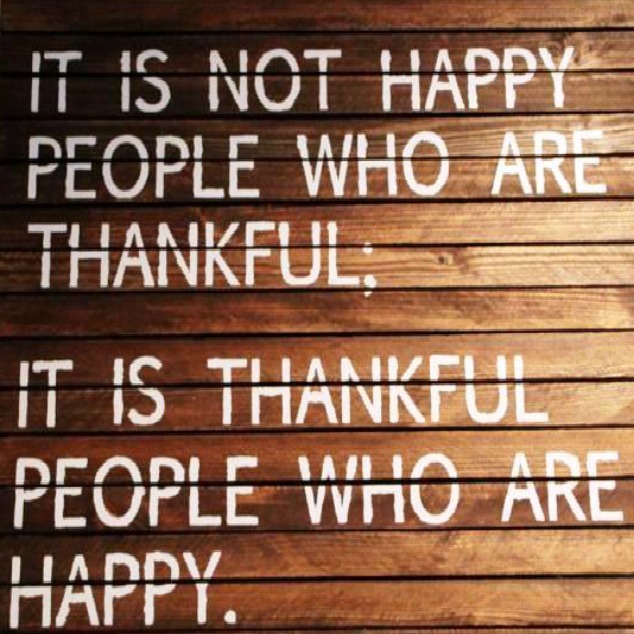 It is called "Thanksgiving" because it is meant to be for Giving Thanks. Regardless of the exact details of its origins in American history, it is at its heart a day to stop and appreciate life by celebrating with a feast, shared with family and friends. It is good and right and healthy to count your blessings. Saying "thank you" for the things that really matter centers us, gives us perspective. It helps us learn to not sweat the small stuff and, dare I say, find contentment. If you have some good food to eat and someone to share it with on Thanksgiving, you have a lot. So I implore you, continue to think of Thanksgiving as it's own special day. Please don't ever think of it as merely Black Friday Eve. And don't keep your gratitude to yourself. Say it. Share it. People need to hear it.